The company mission is to be recognised as a trusted and reliable partner by all customers, and the management team has been reviewing working practices to ensure this status is achieved. Operationally, this mind-set is evident in a whole host of ways. Examples include the way the commercial team goes about understanding customer requirements and responding accordingly, continually striving for the highest possible standards and earning a reputation for consistency. 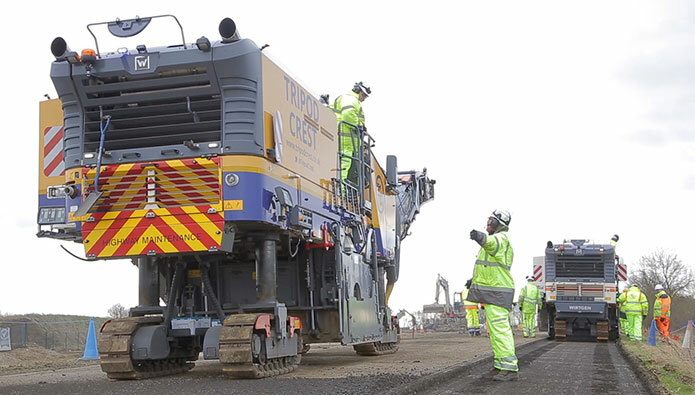 Then there is the way the transport team looks after the fleet and provides well-maintained plant on time; and how the operatives are managed and supported, with clear instruction around quality and health and safety standards. Some of our people from a number of different departments talk about the ‘trusted and reliable partner’ ethos in one of our current videos. They all have an important part to play, and there is clearly great evidence of our teamwork ethic. To listen to group commercial manager Mark Wilcox, estimator Sophie Norville, transport manager Craig Wilmore and operations manager Simon Fisher, watch the video below. By subscribing to our newsletter you are giving us permission to email you with our latest updates. We do not share your data with anyone else and if you change your mind you can unsubscribe at any time using the link available in our emails, using the form on our website or giving us a call. Tick this box to confirm you understand and want to sign up.